Donovan - SOLD 12/15! 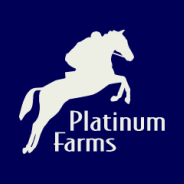 - Welcome to Platinum Farms! SOLD 12/15! CONGRATS TO THE WICKES FAMILY OF HESPERUS, CO! ​"Donovan" is a 2008 Connemara/TB cross who stands 15.1 hh. He is of modern sporthorse type. He is an exceptional mover that could be a serious contender as a dressage horse. He also goes out on the trails and in the water and over small jumps in the arena. He recently attended a foxhunt and really loved it! He is extremely sound and hardy with good bone and hooves. He has good ground manners and trailers well. Currently priced at $5,000..